Page 2 – Mitch Muenster on Xamarin, Microsoft, & other tech/software I can get my hands on. So things im working on getting out. 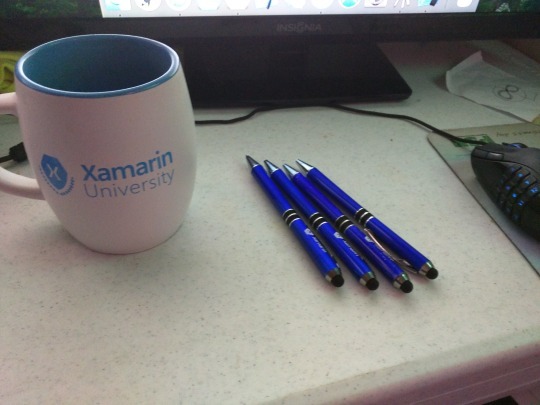 I finished my 80th Xamarin Uni class this evening and it made me think about some things… I have 2 instructors a lot and I have some habits that I am taking away from them or things I noticed. 1. You are surprised when you take a Xamarin U class with Glenn Stephens or Kym Phillpotts and there are less then 3 flash quizzes in the class. 2. 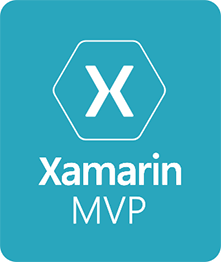 You find your self speaking in a Australian accent when talking about Xamarin or saying your name. 3. Your phone tells you the weather in Celsius while living in the US, in case you end up talking about it. 4. You prefer taking classes that are during the work day in Australia. 6. You have more Go To Training emails reminding you class is about to start then actual class emails. 7. You know how to move the Go To Training Timer box. 8. You have become a better C# programmer because of F# classes. Life with Asperger’s is not always the easy life, in today’s world there are many roadblocks set against a person, and even more so for those with autism. 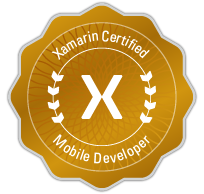 But Today that has been lessened a little bit as I have passed my Xamarin Certification Exam After starting from scratch this past month in the world of C#, Mobile development, and Xamarin. This has made me stop and reflect on this past month. When you go thought and think about life, we are going though things in a rush, completing tasks, going to meetings, and other activities that at their core are constantly changing the state of a Boolean. We can get so focused on our self’s that we forget to keep things in prospective. We set goals, dream big and start small. 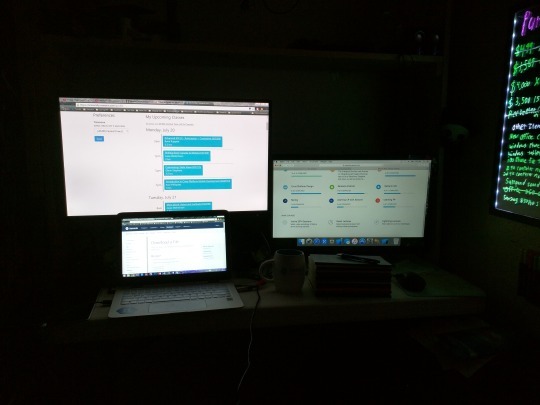 As I have spent the past month furiously learning everything I can from Xamarin University to prepare myself for the certification test and expand my understanding about the Xamarin universe that I lost sight of what was actually unfolding around me. Only until now when I am about to take my certification test, studied my notes, filled out and rechecked the study guide I made for myself did I start to realize what was being passed to me. They were not just words spoken because the job requires it. This information was being passed to me as a Master craftsman passes on the knowledge to an apprentice. 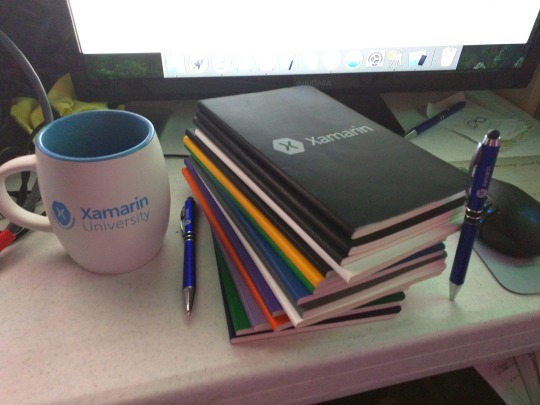 This past month has been a month of learning, a month of sleepless nights, a month of loss and gain, and a month that has truly shaped me to be a better person and Xamarin developer, in ways I cannot yet begin to understand, I know that my life has been changed by the amazing team working at Xamarin University and I know that I have been changed for good. 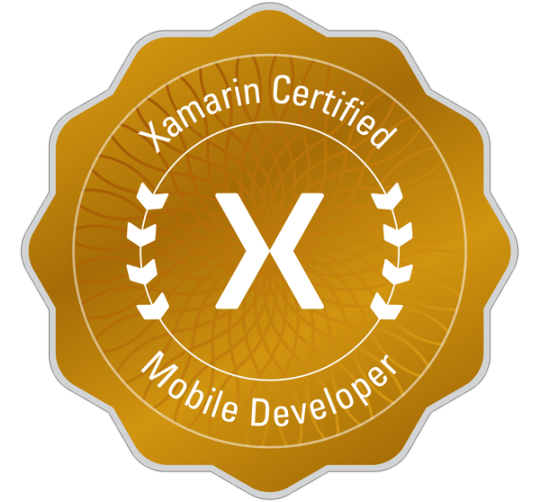 Author Mitch MuensterPosted on July 28, 2015 Categories XamarinTags xamarin certification, xamarin university, xamarnLeave a comment on Certification Exam Passed!